We are excited to bring you the MultiTracks from SEU Worship's latest self-titled worship album, SEU Worship (Live). This album, which was produced by Michael Fatkin and mixed by Ryan Johnson, marks the group's fifth live release and it features 11 uplifting and original songs written and led by the men and women of the Southeastern University based worship collective. Campus worship pastor David Cook shares that "It’s honest, it’s raw and it came from a pure place to just simply worship Jesus.” From upbeat pop style anthems such as "Fountain of Youth" and "Never Gonna Hide" which give voice to the hope and joy we find in Christ to powerful worship ballads like "Calvary's Tide" a song that speaks of Jesus' mercy and grace, this new album brings whole-hearted worship to the Savior. 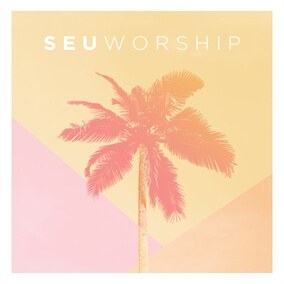 Pick up your copy of SEU Worship (Live) today on iTunes and add these songs to your setlists with the Original Master MultiTracks found here at MultiTracks.com.